Google has dominated the search market for years, but that doesn’t mean you should put all of your eggs into their basket. People prefer a customized experience. We no longer have three TV channels that contain a little bit of everything. No… We have networks dedicated to cooking, survival skills, crime and any other topic imaginable. The same goes for search engines. Users are looking for something more tailored to their interests. Something like vertical search. Google is a universal search engine. It searches horizontally across different topics and media. When you do a search for “stars” in Google, you’re going to get a variety of results ranging from stars in the sky to celebrities in Hollywood to the Dallas hockey team. 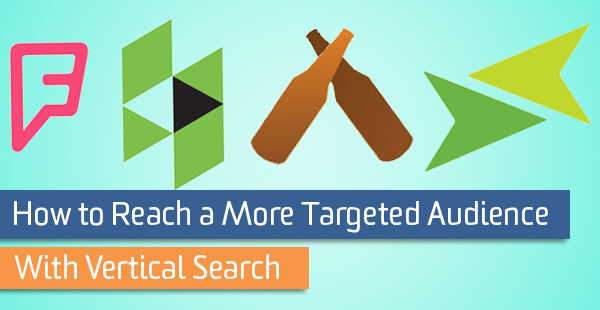 Trulia is an example of a vertical search engine. When you do a search here, you’re only going to find residential real estate options in your search. The information on the internet is growing at a rapid pace. From 1 small website in 1991 to 4.73 billion pages in 2015, the amount of content out there seems unlimited. But when it comes to one general search engine, the ability to find all of it is limited. Think about this: let’s assume you have a client meeting about 5 hours away. It’s too far to drive there and back in one day so your employer suggests you stay in a hotel. Are you going to search in Google to reserve the room? Doubtful. You’re going to search in a specialized engine like Kayak or Hotwire because you already know what you’re looking for and where to find it. In order to reserve that hotel room, you’re skipping over Google completely and going directly to the source. Now, I’m not implying that Google is going to be out of a job because vertical search engines are showing up all over the place. 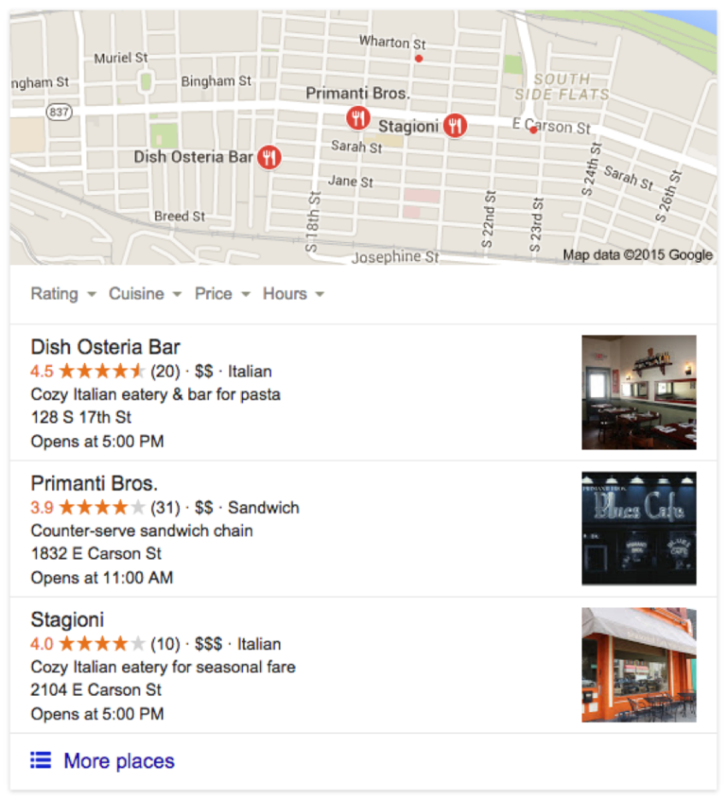 In fact, Google already utilizes its own vertical search features like image, video, and local. You’re familiar with the local snack pack right? The 3-result group listing at the top of SERPs (in the image below) is an example of vertical search. Even though Google is a general search engine, they know that being able to search within a specific category is just as important for user satisfaction. So when I search “restaurants near me” Google wants to give me a list a highly reviewed restaurants, not just results of publishers’ compiled lists of top 10 restaurants that might be located 10 miles away. How Does It Affect MY SEO? There’s an upside and a downside to optimizing for vertical search. I’ll give you the bad news first. To take full advantage of vertical search, you’ll have to submit your website to many specialized search engines. For example, if you sell houses, you’ll want to have an account on Trulia that is decked out with descriptions, beautiful images and contact information. You might also want a Houzz account and some profiles on sites relevant to your housing locations. It’s more work upfront, but the exposure you’ll get will be worth it in the end. With vertical search continuing to grow in popularity, you have other options for getting your website in front of people. Niche websites and vertical search engines provide additional opportunity to get discovered by new people! Remember how I said Google uses vertical search? That’s a bit of good news for you as well. As long as you continue to optimize your site for Google, you get to take advantage of their specialized search features as well. To optimize your website and its content for vertical search, think about what people are searching for on a regular basis and how that ties back into your business. **Be sure to update your business info if you relocate or make big changes. Pay attention to your industry. Are there online news publications, apps, social networks or other kind of sites targeting your industry? I’m sure there are. For example, Foursquare for restaurants, Houzz for housing and interior design, ThomasNet for manufacturers, UnTapped for the beer lovers… the list goes on. Don’t miss out on that party! The members and readers of those pages/apps are looking for everything you offer. 65% of the population are visual learners. Do you know what that means? You should always optimize your images! All search engines use image information (file name, alt text, location, etc.) to determine which images are best to display to the searcher. They’re especially important for your local listings since 60% of consumers give more consideration to local results that have images. Video is a big deal. Not just for bored teenagers but for businesses. If you’re using video to promote your company, that video should be optimized with a coherent filename and be accompanied by a full transcript. It should probably be on YouTube as well since it’s one of the largest vertical search engines available today. If you have an ecommerce site, you absolutely need to optimize for vertical search engines because this is the most competitive market. Set up an account and get your products listed on Amazon, Google Shopping and Ebay. Advertise your products on those sites. Remember how I said 65% of people are visual? With that in mind, you might want to consider advertising via the Google Display Network. It lets you target your audience with text, image or video ads and place the ads on websites that are relevant to your products. If you want to try this out, here are some great AdWords tips to prevent wasting advertising dollars.